Early expressions of interest are being sought from presenters for next year’s Woodflow 2018 technology series. It’s being run in June next year in both New Zealand and Australia by the Forest Industry Engineering Association (FIEA). The Woodflow series is Australasia’s premier technology event run every two years. It provides insights into innovations and new tools being developed and employed by leading forestry, wood products and transport companies. 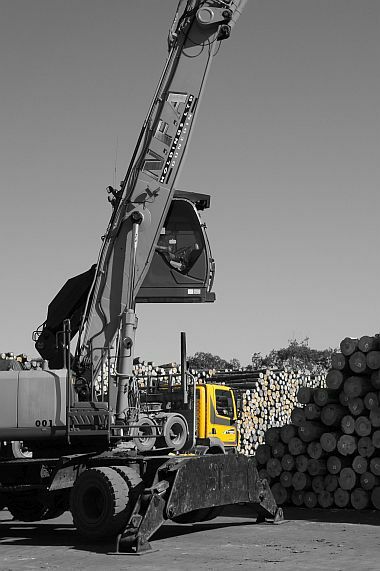 The objective, with 30% – 40% of delivered log costs being contributed by transport, is to profile the very latest technologies for moving wood from the forest through to the log yard, processing plant, port or market. New initiatives and operating practices being employed to improve planning, logistics & operations within the wood supply chain are also showcased. The FIEA event is run every two years. It’s run in both Australia and New Zealand. In 2017, the wood harvesting event, HarvestTECH, was sold out. Over 450 logging contractors, forestry managers and key suppliers attended. It was the largest event of its type yet seen in New Zealand. In September 2016, over 250 harvesting contractors, wood transport operators and planners attended FIEA’s Wood Flow Optimisation event. The 2018 event will be building on the success, momentum and feedback that's been provided by the industry over the last two years at both of these events. -	International models adding value to supply chain management. If you have a new technology, are currently undertaking research in this area, can recommend a topic or a speaker that you think would really add value to the event or have an interesting case-study that showcases just how efficiencies have been improved within the wood supply chain, please make contact with brent.apthorp@fiea.org.nz before Friday 3 November.